At Halco, we offer a variety of easy-to-use financing options for homeowners. During our in-house visit, your Home Energy Advisor will help you find the financing options that work for YOU! Regardless of your credit, we have programs available to fit every financial situation. Here's a look into the many options we have for our valued customers. No-Cost Home Energy Assessment: All rate-payers of public utility companies in NYS pay an SBC fee (Service Benefits Charge) each month on their utility bill. This SBC money is what funds the no-cost energy assessment. Click Here for more information about EmPower eligibility guidelines. Assisted Home Performance (AHP): Offers income-qualified homeowners a comprehensive, whole-house approach to improving energy efficiency and home comfort while saving money. AHP will match 50% of costs for up to $8,000 worth of approved energy-saving upgrades. Click Here for more information about AHP eligibility guidelines. NYSERDA Solar Incentive: Residential: $.35 per watt up to 25kW. Commercial: $.45 per watt up to 2000kW. In addition to incentive programs and financing options, you may qualify for federal and/or New York State tax credits. Geothermal Federal Tax Credit: The residential geothermal tax credit is 30% and will continue at that level until 2020. Green Jobs-Green NY: Loans with interest rates of 3.49% to 7.49% based on income. Direct payment plans up to $25,000 over the span of 15 years. Low-Interest Financing: Interest rates as low as 3.49%! We will work with you to ensure your payment does not exceed what you are expected to save on energy costs. 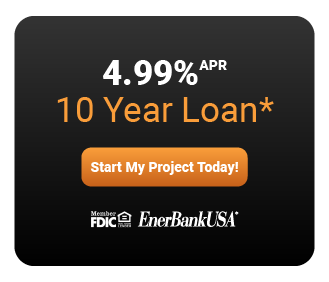 Loans provided by EnerBank USA, Member FDIC, (1245 Brickyard Rd., Suite 600, Salt Lake City, UT 84106) on approved credit, for a limited time. Repayment term is 60 to 240 months. 4.99% fixed APR. Minimum loan amounts apply. The first monthly payment will be due 30 days after the loan closes. Contact Halco for more information about our rebates and financing!